You’ve always had that perfect story in your heart. It’s right there, but you just can’t get it out! Well, the author of the bestselling How to Write a Movie in 21 Days is here to help with her groundbreaking Inner Movie Method. Access that story and get it from your heart onto the page. This ultimate survival guide takes the aspiring screenwriter the shortest distance from blank page to completed script. For accomplished screenwriters honing their craft, as well as for those who have never before brought their ideas to paper, this book is a MUST read! 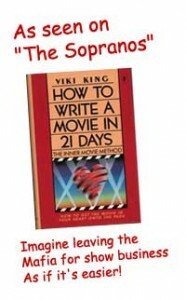 How to Write a Movie in 21 Days has been a huge success and is revered as an industry standard in Hollywood. Order now from Amazon.com or from Barnes & Noble. Viki King is a magician and she can stop time. You know the things that dart by you like hummingbird wings in mid-flight—well, she can hold them still, and let you see a raindrop before it splashes or take you to the exact moment when a memory happens. Stunningly beautifully written. Poignant, Funny. 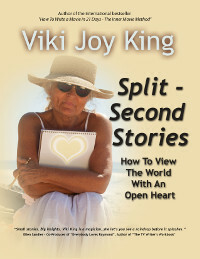 You won’t look at life the same way after seeing it through the eyes of Viki King. This is a master writer. Every word is tightly placed. So economical as if every word weighs something and she ‘s packing for a trip up to the summit. She carves out a world in a short paragraph. King is the ultimate observer with no judgment. Whomever she sees, whatever they are up to, she looks at them with love. You’ll remember the feeling you’re left with after reading each story. The pay-off is immediate. Some of these stories are two lines, some just a paragraph and always a feel good take away. Read them in a minute, they will stay with you a long time. If you haven’t yet begun or are lost somewhere in Act Two, Viki works with you on structure and anything else you need to get ready and go. Call Viki with your dilemma (you don’t even have to know what it is). In those 20 minutes you can identify where you have stopped, so you can get going again. Viki engages in a thorough in-depth analysis and line-by-line edit of your completed script. click here to find out how Viki can help Heal Your Hollywood Heart.